Romelu Lukaku got both goals for Manchester United at Turf Moor. 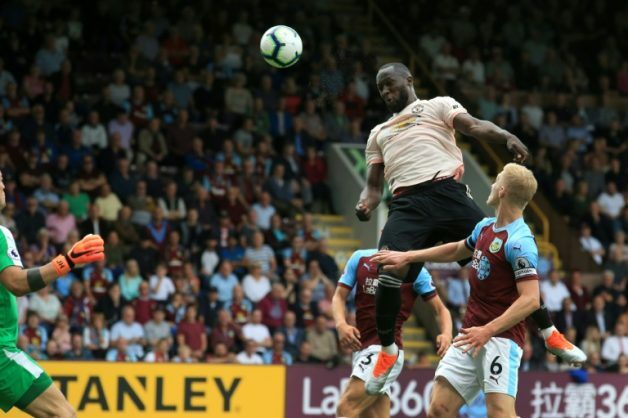 Two goals from Romelu Lukaku brought Jose Mourinho a much-needed 2-0 win at Burnley on Sunday, although it was another eventful and controversial afternoon for his Manchester United side. But Lukaku’s first-half double was enough for a well-earned three points as United bounced back from consecutive defeats to Brighton and Tottenham that had put Mourinho under the spotlight. Alexis Sanchez was recalled to Mourinho’s starting line-up and responded by setting up the opener as Lukaku rose impressively between two defenders to head the Chilean’s cross past Joe Hart. It was a poignant comment from supporters who clearly blame Woodward’s lack of action in the transfer market for the club’s poor start to the season – rather than their high-profile manager.